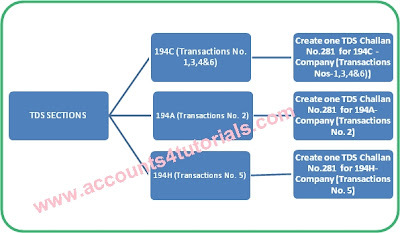 Some of the Accounts have Big confuse, when preparing TDS Challans No.281. I here by explain How to prepare TDS challan No.281. Use Separate Challan Form for Company for Each Section for one Month. Use Separate Challan Form for Non-Company for Each Section for one Month. 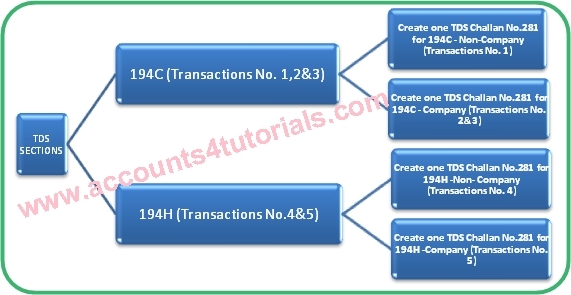 In Example 1, both Transactions are relating to Pvt Ltd., companies AND same Section (194C), So Prepare only on TDS Challan No.281 for Company. 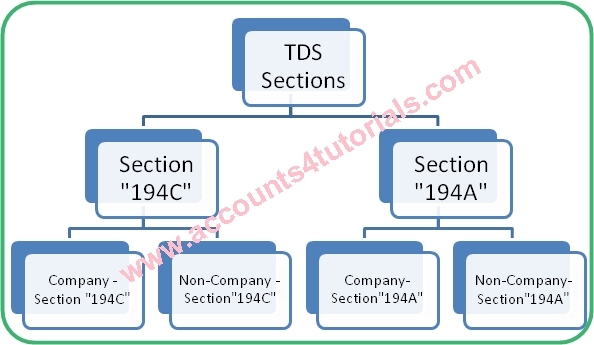 In Example 2, All Transactions are relating to Pvt Ltd., companies.But there are two TDS Sections (194C & 194A). 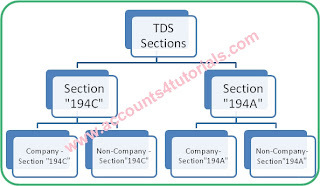 So Prepare Two TDS Challans No.281 for Each Section. 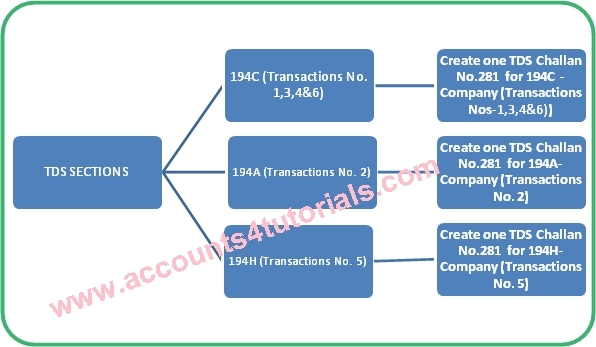 For Transactions No.1&2: In the above Transactions No.1 & 2 are same sections (194C), but one is Company and another one is Non-Company, So prepare Two Separate Challans for sections 194C (Company) & 194C (Non-Company). For the above Transactions you will be Prepare Three TDS Challans. For the above Transactions you will be Prepare Four TDS Challans.